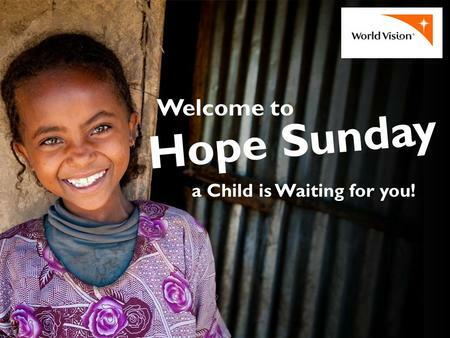 Hope Sunday is the second Sunday of each August celebrating the anniversary of the beginning of Faith church’s covenant and partnership with the World Vision Abaya, Ethiopia Area Development Program (ADP) which began in 2010. Members of the church who have visited the ADP share testimonials of how they saw God at work through World Vision and Faith church to alleviate poverty and make the community sustainable and self sufficient. Join us for this day of hope and celebration.